Obscured by polluted haze, workers are putting the finishing touches to towering smokestacks on a multi-billion-dollar coal-to-oil plant in China that will pump out vast amounts of carbon dioxide when in operation. The giant facility has been refused permission by the environment ministry in Beijing, but that has not stopped construction work in Changzhi, in the coal-dependent northern province of Shanxi. Drilling and hammering sounded from inside as trucks delivered supplies of copper cable. 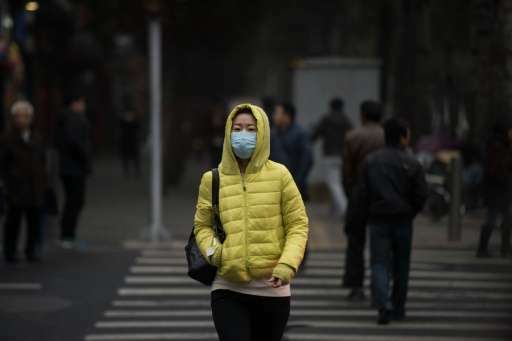 China is the world's biggest polluter, and its emissions of the greenhouse gases that cause climate change—along with its ability to fulfil its promises—will be at the centre of talks starting in Paris this month that are crucial to the future of the planet. The meeting will try to negotiate a pact to keep global warming below two degrees Celsius (3.6 degrees Fahrenheit). Campaigners portrayed Beijing as a villain of a previous summit in Copenhagen, where its officials resisted carbon reduction targets. But the developing country's position has shifted with a historic pledge last year to peak carbon output by "around 2030"—suggesting at least another decade of growing emissions. China's transformative economic boom has mainly been fuelled by coal, which provides most of its energy, and it plans to move 250 million more people from the countryside to cities in the next 10 years—creating more buildings and car users. The Asian giant is estimated to have released nine to ten billion tonnes of carbon dioxide in 2013, nearly twice as much as the US and around two and a half times the European Union. Experts told AFP that the "around 2030" target was likely to be reached as China's coal use peaks, its economic growth slows and shifts away from heavy industry, and with growing investment in renewables. But there is huge uncertainty about China's maximum emissions level, with estimates ranging from 11 to 20 billion tonnes a year. Such an increase could mean developed countries having to make deeper cuts than already pledged for the two degree target to be met. The lack of clarity was highlighted this year when Beijing suddenly revised its annual coal use estimates upwards by hundreds of millions of tonnes. By some estimates China's per-capita emissions are already ahead of advanced economies such as the EU. Similarly, its emissions since the historic baseline year of 1990 are poised to overtake those of the US, raising questions over Beijing's appeal to differing "historic responsibility" for climate change. Alvin Lin, of US-based NGO the Natural Resources Defense Council, does not expect Beijing to offer any change to its 2030 target at the talks. But he said China "sees the importance of taking strong actions on climate change to demonstrate its willingness to do its part on addressing climate change". 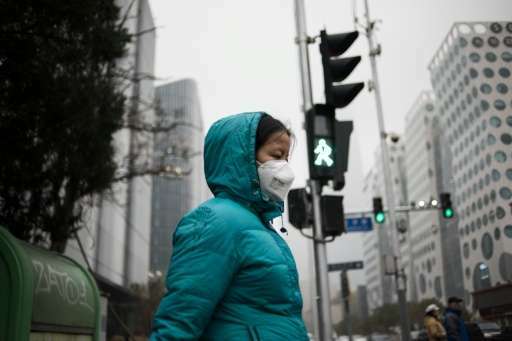 "It is in line with domestic efforts to address China's air pollution from coal and oil," he added. Hydropower generated nearly one fifth of China's electricity in 2014—although dams raise other environmental concerns—with nuclear supplying two percent but growing rapidly. Wind and solar contributed three percent. "These renewables will be expanding by multiples" in coming years, Lin said. But most of China's electricity still comes from coal—it used 4.2 billion tonnes in 2013, and environmental campaign group Greenpeace says it has approved 155 new coal-fired power plants this year alone. 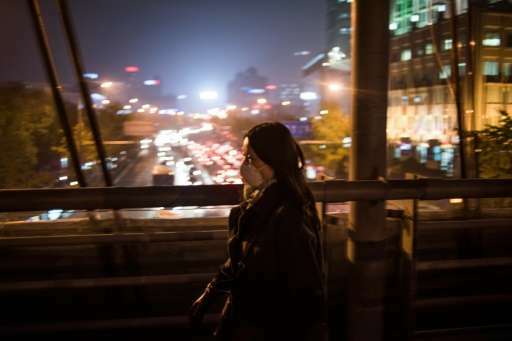 The addiction has created an epidemic of dangerous smog often smothering vast swathes of the country, driving public anger and discontent with Communist authorities. The ruling party has repeatedly promised to cut coal's contribution to the energy mix to stave off pollution, and the economy is becoming less energy-intensive while growth is slowing. Most experts predict a historic peak to coal use within the next five years, with Li Shuo of Greenpeace saying it may have already happened, and that emissions could peak "much earlier than previously expected". But there are growing concerns about other climate-changing gases such as methane and HFC "super greenhouse gases" used in refrigeration and air conditioning, which are far more potent than carbon dioxide. 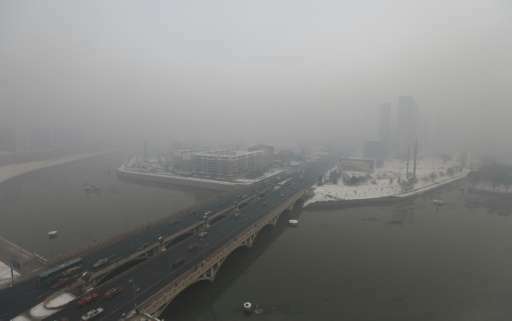 And some of China's schemes to improve urban air quality are also set to add heavily to greenhouse gas production. Coal-to-gas and coal-to-oil plants concentrate pollution in their localities, and are hugely energy-intensive. Dozens of facilities are being planned in largely rural areas and could put out as much as an eighth of China's current annual emissions, Greenpeace said. Seven are under construction in the arid and fragile environment of northwest China without required government permits, it added. Citing "capacity" concerns, China's environmental ministry has refused two applications to build coal-to-chemical plants, including the one in Changzhi. The operator declined an AFP request to visit. But outside the facility, a grey-jacketed worker surnamed Zhai was adamant it would go into production. "The investment is 30 billion yuan ($4.8 billion)," he said, "so it will have to be approved at some point."